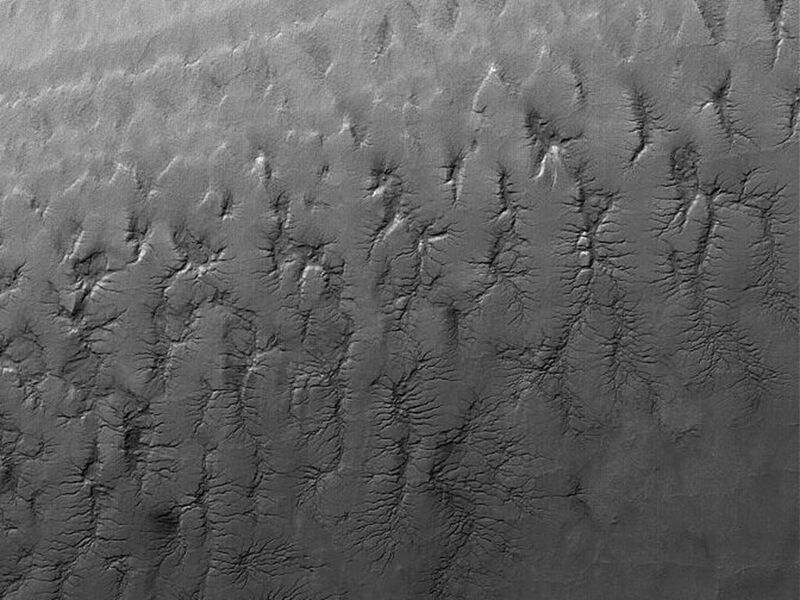 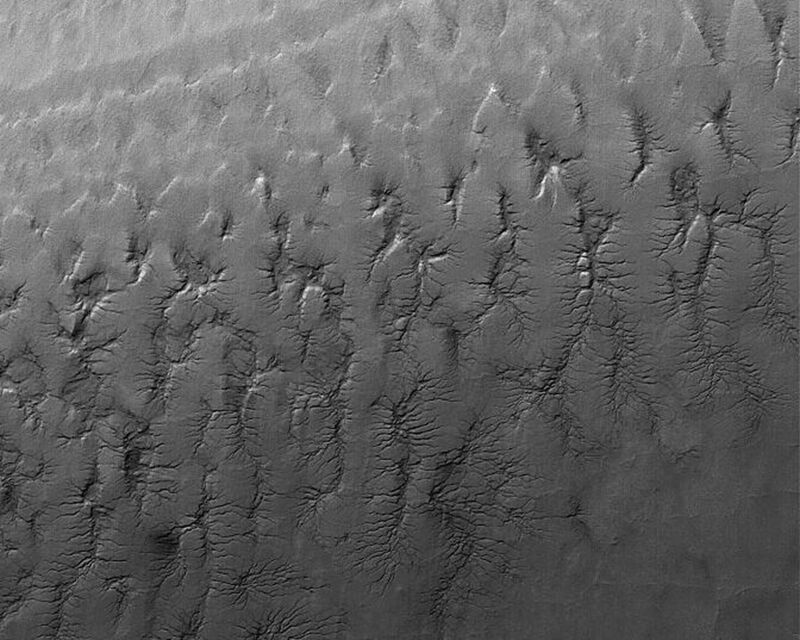 This Mars Global Surveyor (MGS) Mars Orbiter Camera (MOC) image shows cracked surfaces in the south polar layered terrain of Mars. The cracks in this scene have formed complex dendritic arrays. 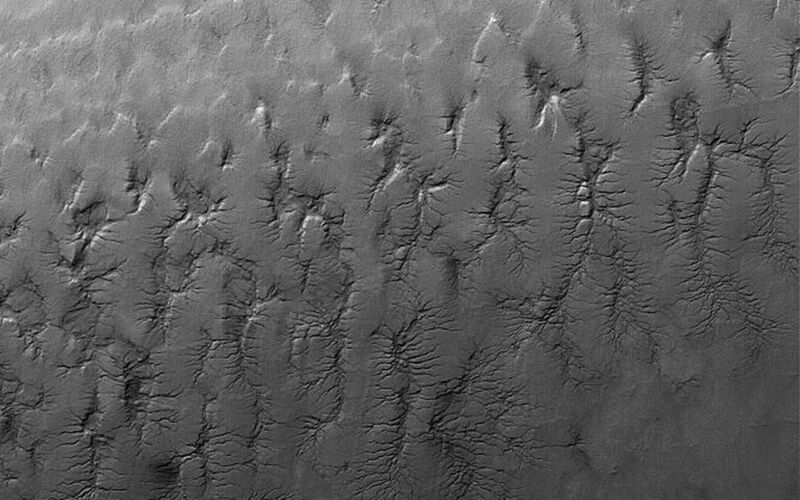 Evidence of the fracture networks is clear in the topmost layer, however, close inspection reveals traces of apparently older networks in the underlying layers.